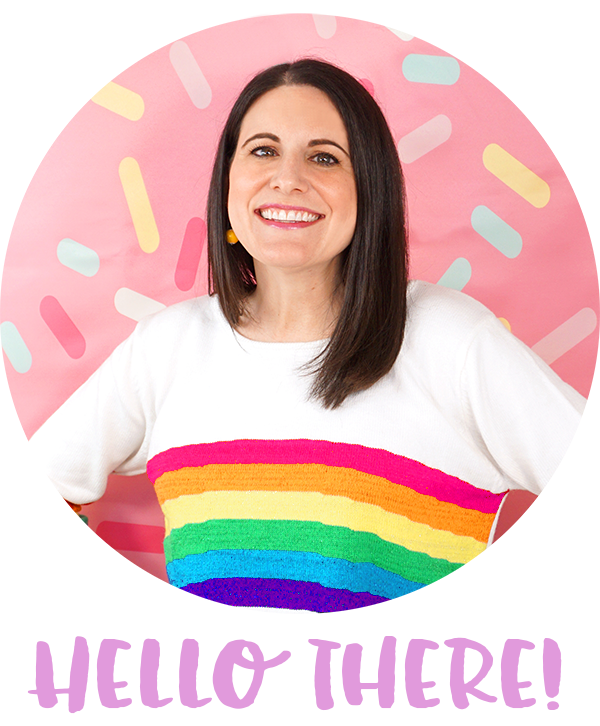 Want to learn how to make bath bombs? 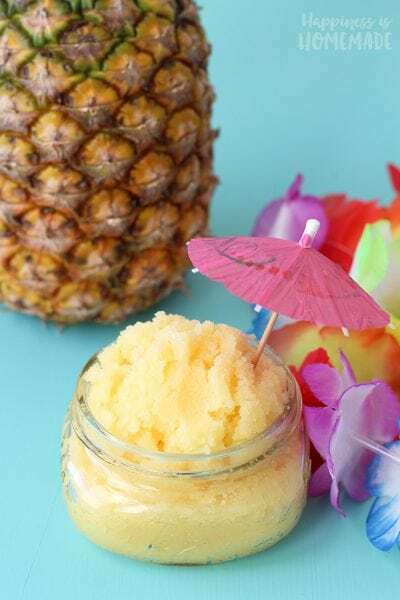 This easy and foolproof DIY bath bomb recipe is perfect for beginners! 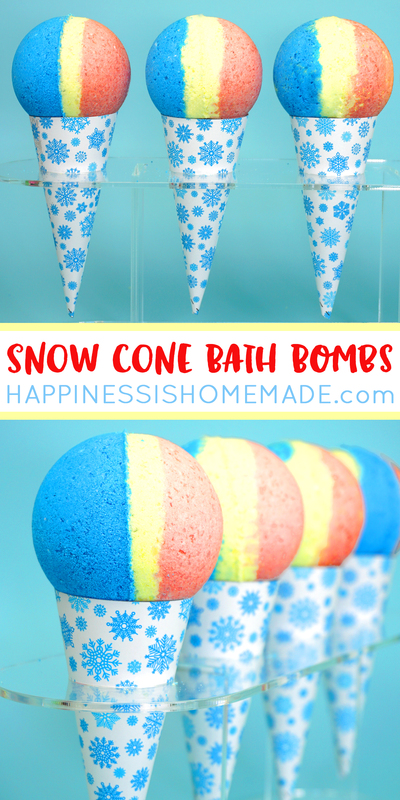 These snow cone bath bombs make a great homemade gift idea for friends, family, neighbors, teachers, and more! 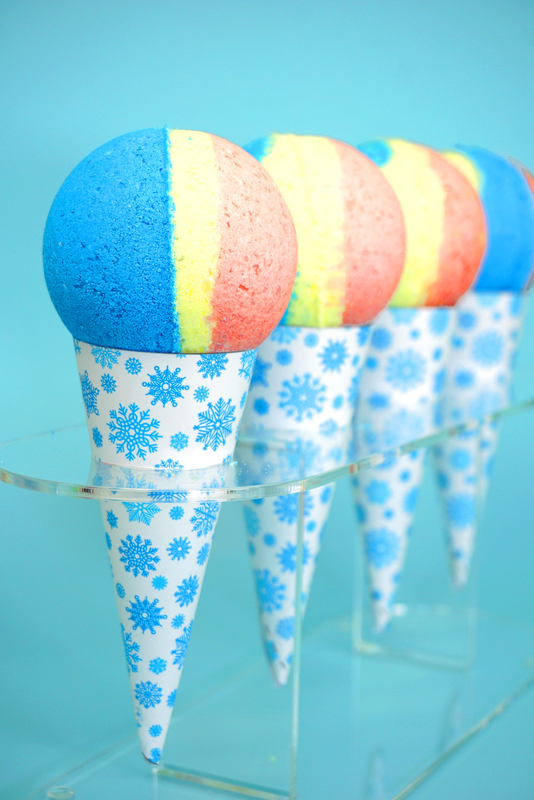 Have you ever wanted to learn how to make DIY bath bombs? 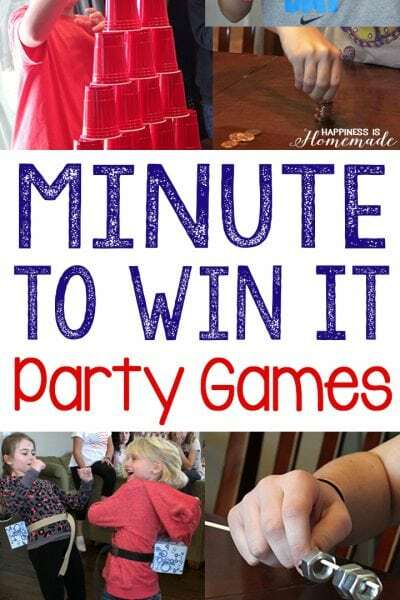 It’s easier than it might look! 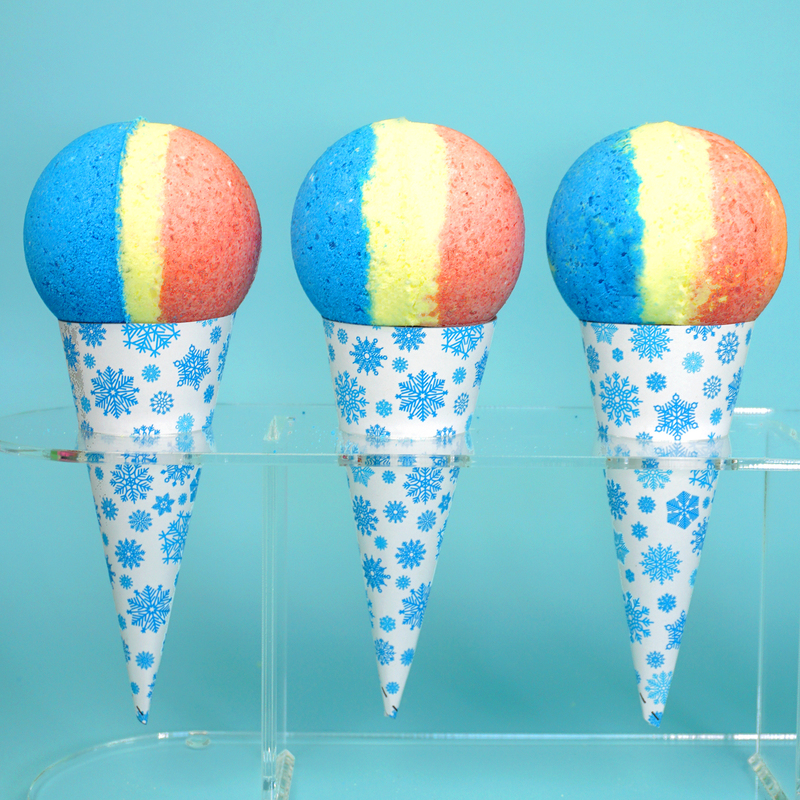 These fun and summery snow cone bath bombs look adorable, and they’re SUPER easy to make, too! 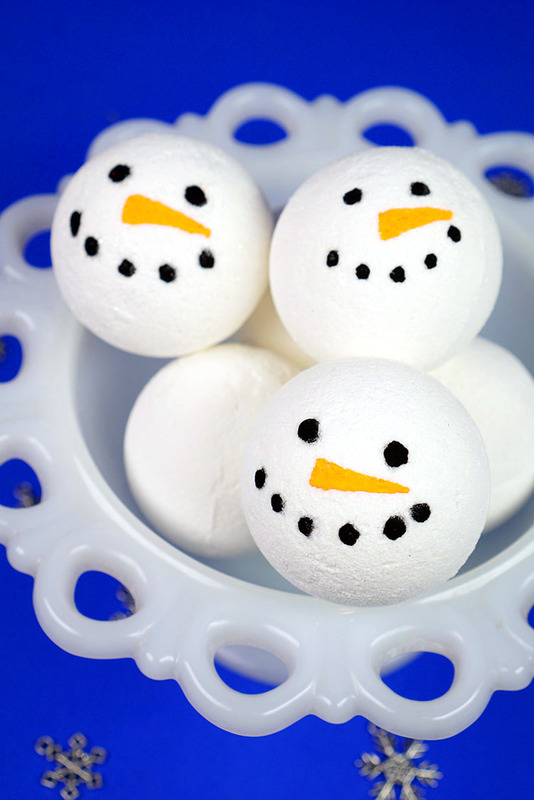 Just follow our simple bath bomb recipe to make your very own homemade bath bombs! According to Wikipedia, “Bath bombs are hard-packed mixtures of dry ingredients which effervesce when wet. They are used to add essential oils, scent, bubbles or color to bathwater.” Basically, if you want to make your bath time extra fun, toss a bath bomb into your bathtub to add colorful fizz and fragrance! These snow cone bath bombs use the same classic bath bomb recipe that we previously shared when we made our Snowman Bath Bombs, so if you want to see additional step-by-step photos for how to make bath bombs, be sure to check out that post as well! Mix together the dry ingredients, and then divide the mixture into three smaller bowls. 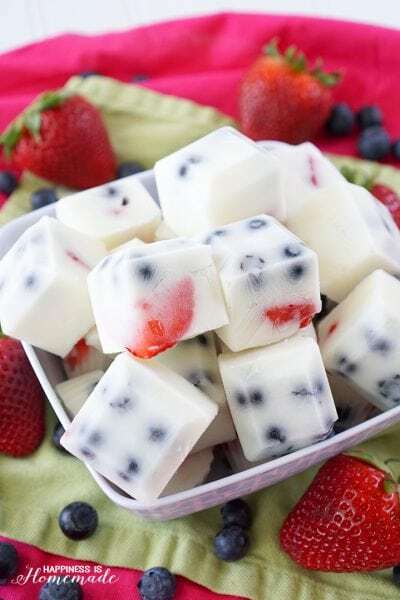 Add a small amount of cosmetic coloring into each bowl. 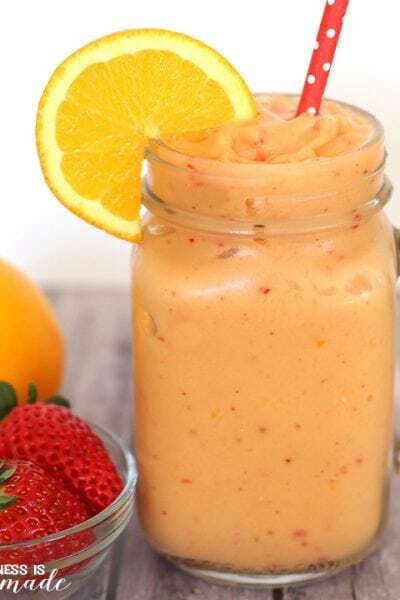 Mix up the wet ingredients (do not add the fragrance oils yet unless you’re only using a single scent) and evenly divide the liquid among the three bowls – be careful not to pour too much liquid into one spot or the mixture will start to fizz! Add 10 drops of fragrance oil to each of the bowls and carefully stir to mix everything together. Add a few spritzes of witch hazel as needed until the mixture holds together when formed. 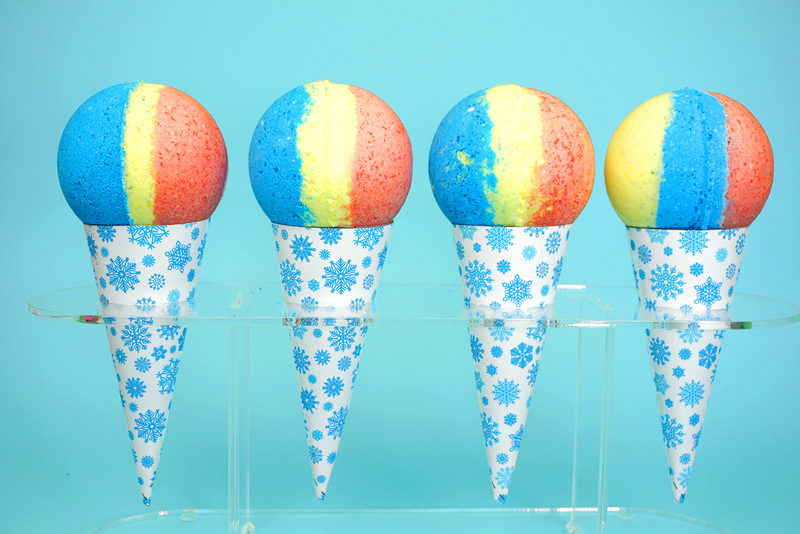 Learn how to make bath bombs the easy way with this foolproof recipe! In a large bowl, mix together the baking soda, salt, citric acid, and cornstarch and stir until thoroughly combined. Divide the mixture into three smaller bowls, and add mica colorant to each bowl. Mix well. Melt the coconut oil if necessary. Evenly divide the coconut oil between the three bowls and add fragrance or essential oil of choice to each bowl. Slowly and carefully combine the wet ingredients with the dry ingredients. Be careful not to add too much liquid at once or the citric acid reaction will start to bubble and fizz! Fill the mold with layers of the bath bomb mixture, pressing down to ensure that it is completely filled. 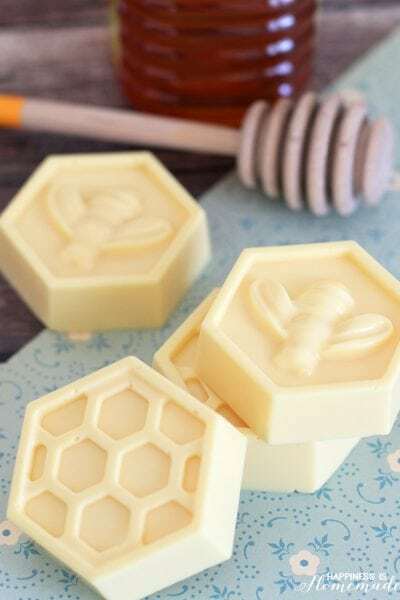 Fill the other half of the mold, and press both filled halves tightly together. Allow the bath bombs to dry for at least 6 hours before unmolding. I recommend drying for an additional 24 hours after unmolding before handling, decorating, and gift packaging (if time allows). 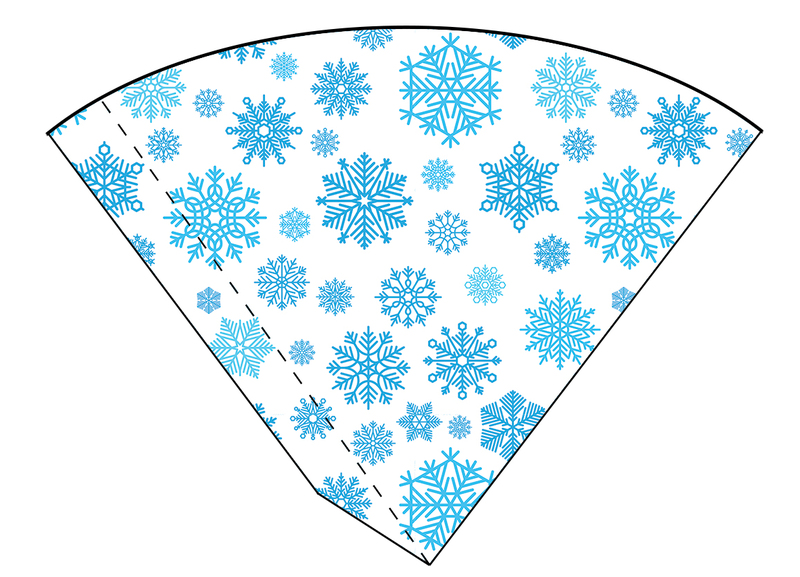 If desired, print out our cute snow cone paper wrappers to display your snow cone bath bombs – perfect for gift giving! I like to wrap the entire package in a cone-shaped gift bag for easy gift giving! 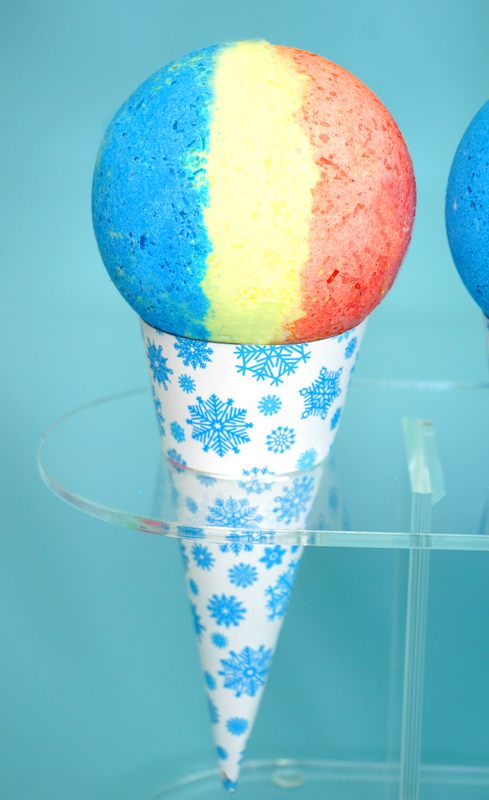 Pin these Snow Cone DIY Bath Bombs for Later!